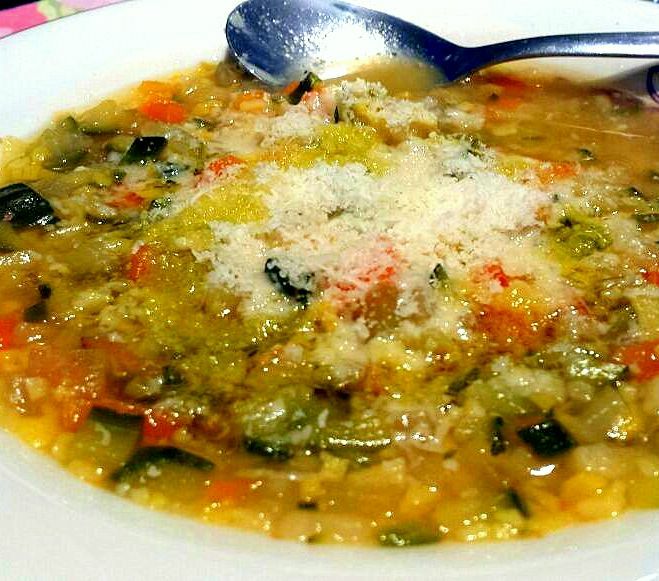 Minestrone is THE classic Italian soup prepared in all Italy. It is made with healthy vegetables that will help you eat your five-a-day. It is a delicious soup, easy to cook in which you can add all your favourite vegetables. Here is the recipe of an Italian nonna*, you can just use it as it is or add some of your favourite vegetables. 2. Add the onions, carrots, celery, zucchini and sauté until the vegetables are softened. ++ You can also add some spices like garlic basilic, rosemary, etc. Potatoes and beans also taste really good in this soup. If you want a dish more consistent you may add some pasta or meat.